The Supreme Court Collegium on Thursday has recommended names of Uttarakhand Chief Justice K. M. Joseph and Senior Advocate of Supreme Court, Indu Malhotra for Supreme Court judgeship, reported The Hindu. The Collegium comprising of Chief Justice Dipak Misra, Justice Jasti Chelameswar, Justice Ranjan Gogoi, Justice Madan Bhimarao Lokur and Justice Kurian Joseph has unanimously recommended the elevation of duo besides regularizing Chief Justices of five High Courts. Indu Malhotra will become the first woman lawyer to have been directly recommended from the Bar for Supreme Court judgeship. 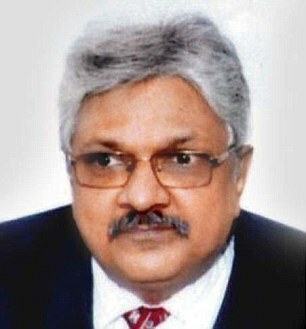 Justice K. M. Joseph is the son of former Supreme Court judge, Justice K. K. Mathew. According to sources there is much on cards in terms of transfers and elevations too. Dehli High Court is likely to get Justice J. Bhattacharaya of Calcutta High Court as new Chief Justice. If sources are believed Justice T. B. Radhakrishnan, Chief Justice of Chatitisgarh High Court has been moved to Andhra Pradesh High Court. Justice Abhilasha Kumari of Gujarat High Court will take over as Tripura Chief Justice. Justice A. Dominic has become Kerala High Court Chief Justice. Justice Ajay Rastogi has moved to Manipur while Justice Surya Kant of Punjab & Haryana High Court has taken over as Chief Justice of Himachal Pradesh High Court. Justice K. M. Joseph’s image from here and Indu Malhotra’s image from here.